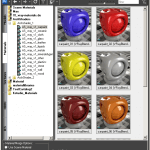 Disables interactive rendering with Vray version 3.04.0X ( Vray 3.04.01 and Vray 3.04.02 is incorrect and very slowly render some materials). Some minor optimisations for rendering materials. Fixes a bug when displaying a ListView in Thumbnails+Details mode and displaying files in subdirectories. Fixes a bug what occurs on some computers when the 3ds Max freezes after starting the plugin and the option “Check for updates” is turned on. 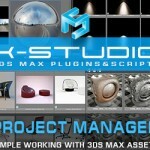 Related to "Project Manager v.2.32.20"